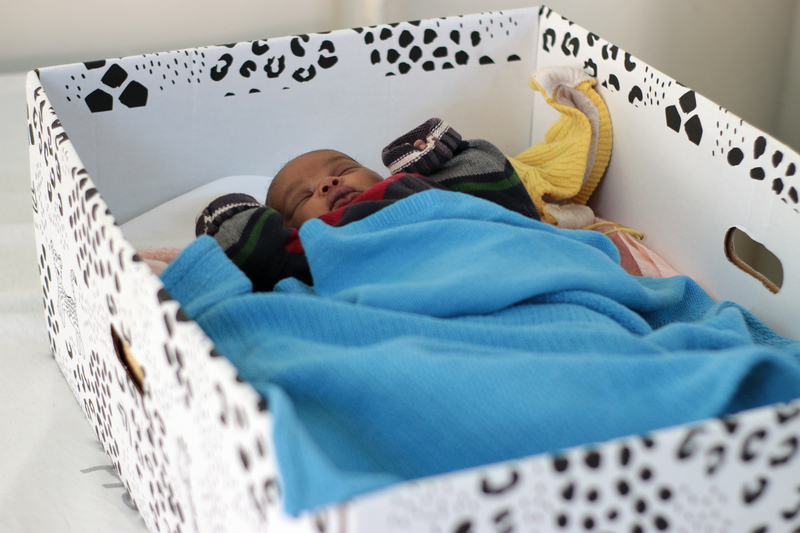 This week our very first mums returned to Nairobi health centres to attend a postnatal care session and collect their box. In the lead photo above, Child.org Programming Intern Faith hands a box to new parents Annastacia and Ernest for their baby Samuel. 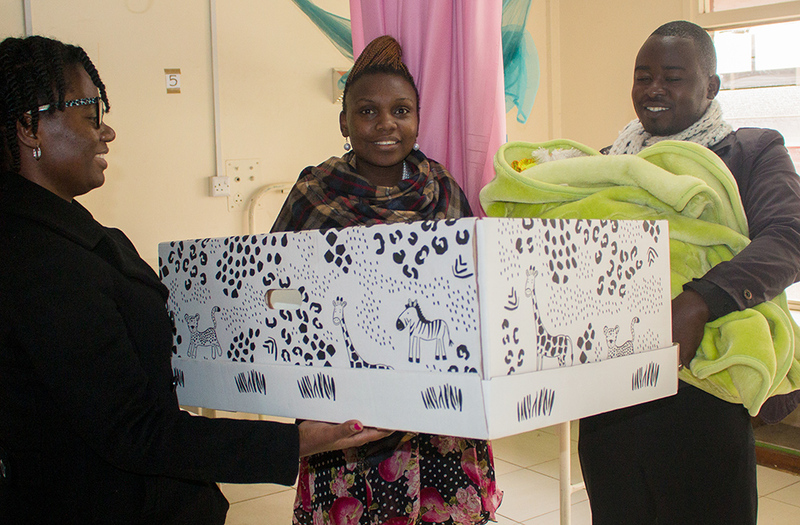 Below, Child.org Programming Officer Cherio hands a box to new parents Leonard and Sylvia for baby Truth. Members of staff at the health centre go through the safe sleeping information printed on the top of each box for all new parents. Babies Diyan and Samuel couldn't wait to try out their new beds! 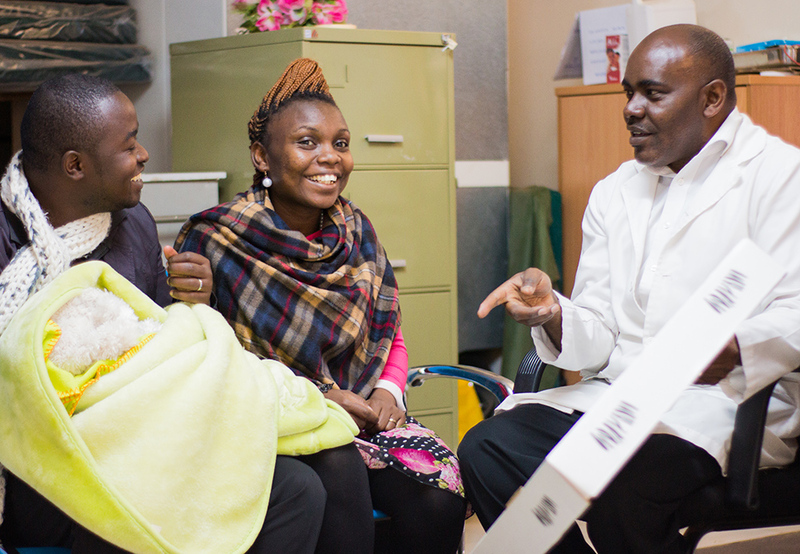 As you can see, it's chilly in Kenya at the moment with parents keeping their baby well wrapped up! Each box comes with a snuggly blue baby blanket, as well as a mosquito net. 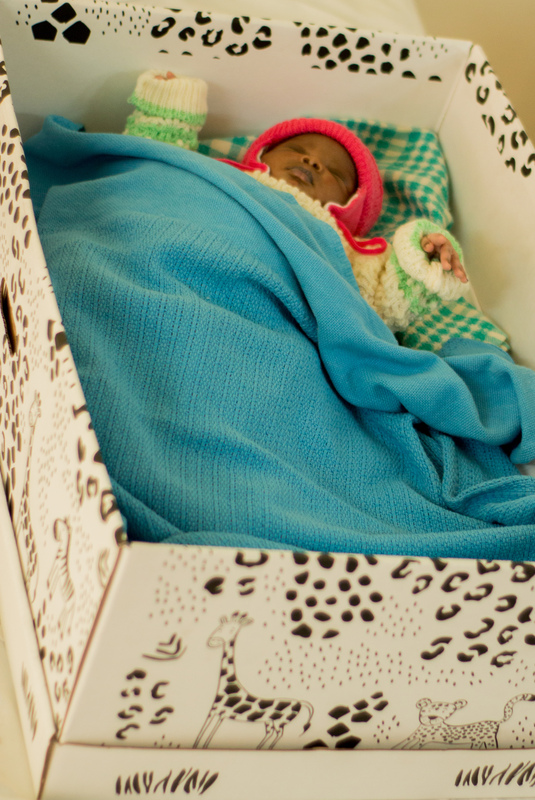 Child.org will distribute 500 of these boxes, and follow up with 200 of the families with an in-depth interview at their home within the first three months of the baby's life. 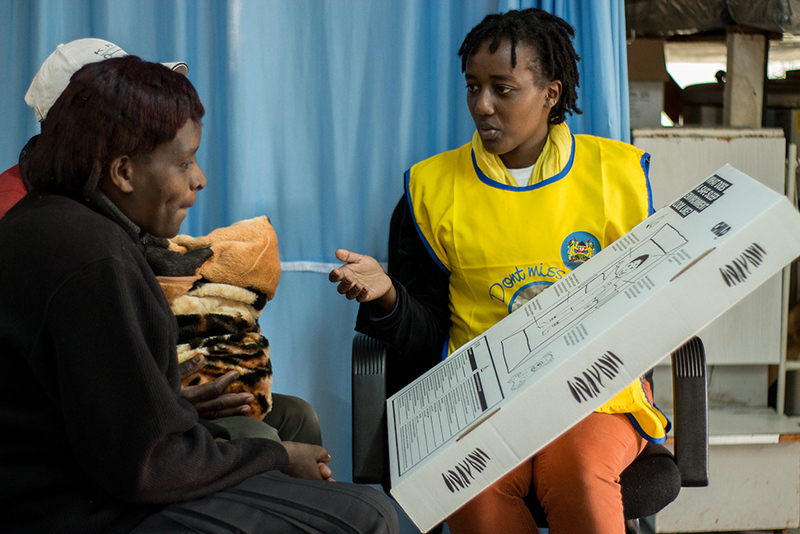 These interviews will tell us how useful the families are finding the box, and how their experience, including access of postnatal care, differs from that of the new parents we spoke to before the programme began. We look forward to sharing detailed findings with you later in the programme! If you like how Child.org do things, please do consider giving a regular donation. Having regular, dependable income from the supporters who believe in us most provides the stability we need to be ambitious and plan effectively.